Dr. Durrans attended the University of Houston for his undergraduate degree. 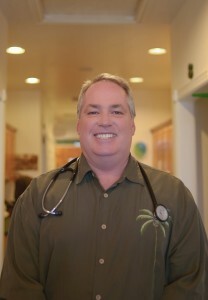 He graduated from the University of Texas Galveston Medical School in 1990 and completed his residency in Family and Community Medicine at University of Nevada School of Medicine in Las Vegas Nevada where he received the Resident of the Year award. Sports Medicine, Adult Medicine, Wellness Care, and Mental Health. Dr. Durrans has 6 children and 3 grandchildren. He enjoys camping, water and snow skiing, snow shoeing, and traveling. He loves going to Lake Powell and surfing in Southern California. He loves coaching water polo and serving in the LDS Church. Read about our patients' experiences or leave your own review. Click below. Am I “Sick Enough” to Get Treatment?